Jump from a crane at 160ft only attached by your ankles, our bestselling Bungee experience, for the ultimate Bungee Jumping Experience Day Out. Try the ultimate adrenaline rush! 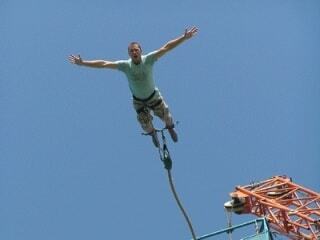 Bungee Jumps - thrilling, electrifying and utterly unforgettable! If you haven't done one, you definitely should ... you can't beat the massive adrenaline rush you'll get from throwing yourself off a platform 160 ft high with just an elastic band around your ankles for safety! You might feel as thought you're going against your better instincts, but you won't regret it ... you will recoil skywards with massive G force and it will certainly be a moment you remember for the rest of your life! After springing around for a while (which is great fun!) you will be slowly lowered to the ground, and you are sure to be buzzing for the rest of the day. This experience will leave you utterly exhilarated! You will arrive at the location and make yourself known at the main desk; you will then be required to complete a membership form. You will then be weighed twice to ensure that the correct bungee rope is used for your jump. Next it is time for you to get into the harness and have the ankle straps attached. The professional staff perform a number of checks and double checks on all of the equipment. You will then enter the cage where you will be lifted to a height of circa 160ft. Now all you have to do is jump off! There will be a personalised DVD and merchandise available for you to buy on the day to remember your experience with. Selected 2017 dates throughout the year at various locations. Please call upon booking for specific availability. All dates are subject to availability. Please allow 2 hour on site. Participants: The Bungee Jumping - Nationwide is for 1 participant. Dress in comfortable, casual clothes that are suitable for the weather conditions. Please note: Photos, Videos & Merchandise are not available at the Belfast bungee jump. Superb! The staff were all friendly, professional and calming. They made my first bunjee experience fantastic and I'm very greatful. Loved it! Thank you. I thought all staff and equipment was excellent and an overall thrilling experience in which I intend to experience again. Thank you. Really good experience, the staff were brilliant, I was really nervous and nearly didn't jump, the staff were really encouraging, and were good at putting me at ease I doubt I would of done it otherwise. It was an amazing experience and I would definiteley do it again. The experience was fun and the staff were excellent. This is my second jump with Experience Days and would definitely book again. Absolutely brilliant! Staff were great and I felt very safe. You've given me the bungee bug! time slots are pointless really as the queue is another story. Staff was excellent and a jump unforgettable. Thank you soo much! No filming off the jump, wish i could of got a vid or a letter saying you completed the jump. Very enjoyable, looking forward to doing the 400ft jump laer this year! First bungee jump. Amazin experience, definatley do another one. 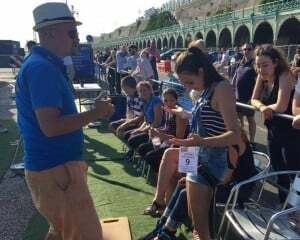 It was very good day but i think they should be more accommodating to people who want to use Gopro cameras they are becoming so popular and people want to film these experiences as they don't last long its nice to be able to look back at it! They are sports equipment and with the right attachments are safe to use! It was not at Brighton as they were not doing it this year. It was at Windsor, Bray Water and was excellent. great welcoming team, would definateley book another Extreme Element experience. it was raining and the seat provided for the jumpers and the spectators wasn't good. The price for the pictures was way too high but the CD was sold for a reasonable price. I think that the participants should be allowed to choose the picture they would like to be printed instead of being picked. Going back from the center to the maidenhead train station wasn't that easy, also the photos & dvd were extremely expensive, I mean we paid 60 pounds for the jump & 40 for the photos & dvd!! The staff made the jump much easier as they were very friendly and very reassuring. They seemed to genuinely care about their job and us "jumpers". I had a great experience. Awesome experience - completely scared the daylights out of our friend who's getting married... quality of the video from the guys was ok (lots of scrambling - might want to watch your DVD before you buy it), photos were great. AMAZING view at the top over all of Brighton (you can see for miles on a clear day). The jump was exhilerating - doesn't look that high when you're on the ground watching other people, but when you're up there, all of a sudden the fear creeps in. Special thanks to the guy in the cage helping everyone to jump - who convinced our friend to jump despite him saying otherwise!! Noone and nothing can prepare you for the intense sensation that you get from the experience. The staff made me feel at ease and the location and weather made the activity all the more enjoyable. The most intense moment of my life, I'm definitely doing it again. This was such an amazing experience and i'm hoping to do a 300ft jump at some point in the future! An excellent event at a beautiful location. Every member of staff was extremely friendly and helpful. Whilst waiting noticed that at least five members of staff checked all the equipment! Made me (and my partner) feel especially safe and cared for. Overall five out of five stars. It was brilliant. Me and my son loved it. Recommend to all. A proper rush. I really enjoyed my experience, the staff were friendly and excellent in their instruction and supportive when the nerves kicked in! Parking was limited at the venue but this was a minor inconvenience that did not detract from the enjoyment of the day. Over very quickly, but was a blast. if Â£49 isn't too much for you, do it! fantastic and professional staff. Felt very safe and supported through out the whole experience. They made the day enjoyable. Would recommend to anybody. Absolutely amazing experience! Watching other people and the friendly staff really relaxes you and I am looking forward to going back! The jump itself was an amazing experience I'll never forget. Absolutely wonderful experience, from beginning to end. The staff were an amazing group of young people who gave the impression of experienced professionalism, coupled with genuine friendliness. I felt completely safe throughout, and completely at ease. And the jump itself: what a brilliant adrenaline rush!!! Thank you to all concerned for my fantastic experience! I had a fantastic time and the staff were excellent in calming my nerves. The experience was exhilarating, terrifying and exciting :) However the site I went to charged for parking and there was no reference to this when booking. All in all an AMAZING experience!!! The jump itself was amazing! The staff there were really friendly and professional. Bungee Jump was a present to my husband for his birthday. It was very enjoyable experience for him: he was nervious at the beginning, but in the end he proved to himself and the others that he is a real braveheart... I am really proud of him because not everyone would be able to do such a thing. excellent experience!!! made even better by the staff all of which were friendly, easy to talk to and obviously enjoyed what they were doing. I will definately recommend them to friends and family and be booking another jump in the future with them! Staff friendly and everything was made clear. Very thorough safety checks and questions. It was an amusing experience, even though we got there 30min late the stuff was just amusing. The jump itself..OMG !! Another experience to keep in the memory for the life time. Soon as I took my feet off the platform, it felt like all my body was left behind. Really, I do recommend it to try...It was the best weekend of the month ! Thank you Extreme Element Team. My son jumped for my charity i run and is now itching to go again only a 300 ft next time, a great time was had. Thank you very much. 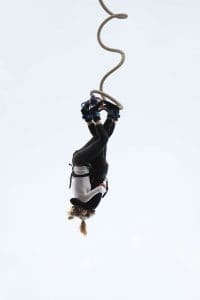 It was my 1st bungee and it was awesome. 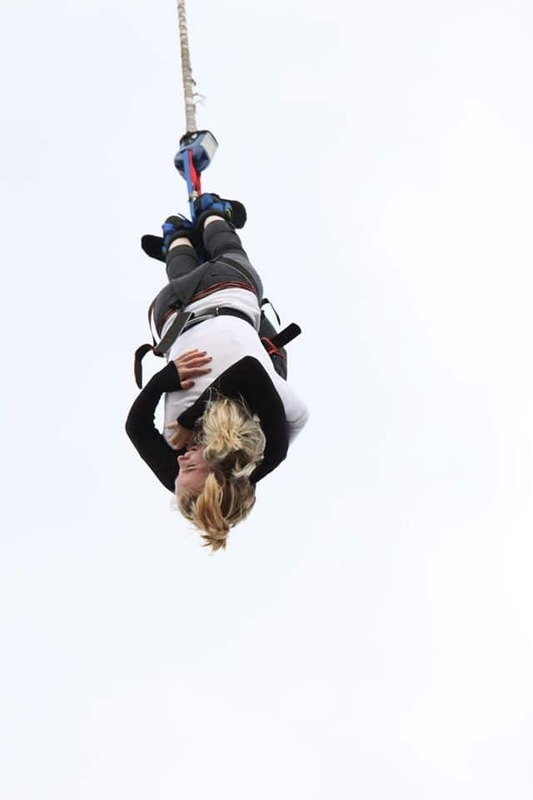 It was remarkable and i will do the highest bungee next time. Two adverse points, the DVD was not that good... they should start it from the time i wrap my belts till i meet my friends after the jump. plus i had to go searching for a toilet way too far... but all in all it was one of the best things i have done in my life. There was no video equipment on the day, luckily I had brought my own camera but some others may not have and would have been disappointed that they had no video or photos to take away with them. Maybe in the future there should be notification of this. Great fun though was definately worth the nerves!!! The bungee jump experience itself was great but I do have a complaint. I paid £15 for the DVD which was a complete rip off. The DVD was very poor quality, badly filmed and lasted just over 2 mins. It was atrocious and wouldn't have been worth having even if it had been free. If you are going to offer this type of merchandise then you should at least make sure it is of a satisfactory standard. Perhaps some training for the camera person would be in order. it was fantastic had great laugh while waiting to do bungee even though we were soaked through with the rain we were all in high spirits and loved every minute of it would go again in a second. It was an extremely wet and windy day and we had to stand out in the pouring rain for over half and hour past our allotted time. The staff kept spirits high because they were hilarious, but it did ruin part of the experience being so wet. A bungee jump's never going to be a bad experience though! I bought this as a present but attended the jump! It was the best present I ever bought so I was told anyway! Great day out! It was great experience!!! Everything was excellent! Am I able to do in a Bungee Jump if i am over 50? 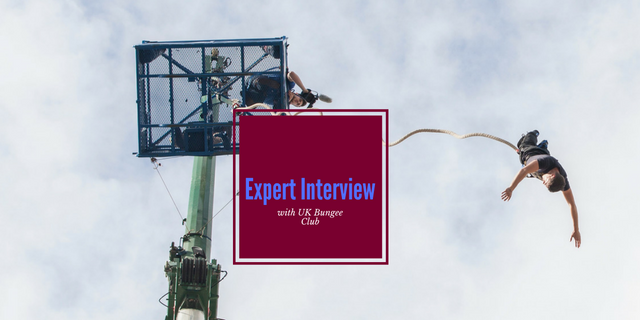 Yes you are able to do a Bungee Jump, however over 50s will need a doctor's certificate stating that there is nothing in their medical history that could cause problems by doing a jump. You must be in good health and you must make the centre aware of any medical conditions that you think may affect you being able to jump. This particular experience advises against people with high blood pressure taking part. However, if they were able to provide a doctors note to confirm good health then it would be up to the participant as well as having to sign a non standard waiver.